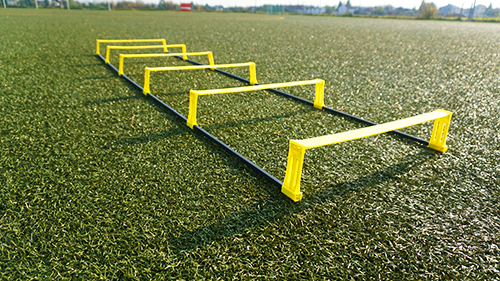 You get a high-quality T-PRO hurdle ladder, which consists of a total of 6 foldable rungs. 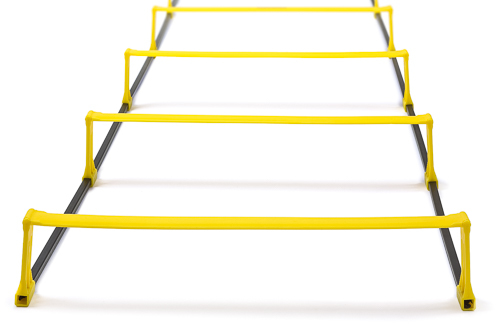 The ladder has the advantage that it can be used with flat rungs as a coordination ladder and with unfolded rungs as a hurdle ladder. 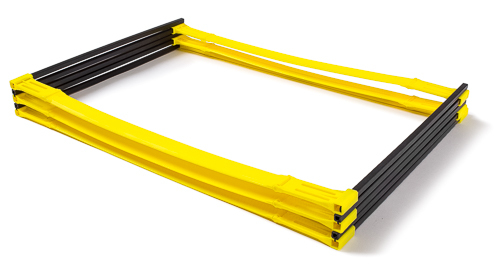 The rungs have a distance of about 40 cm and in the flat state, each rung is about 66 cm wide. 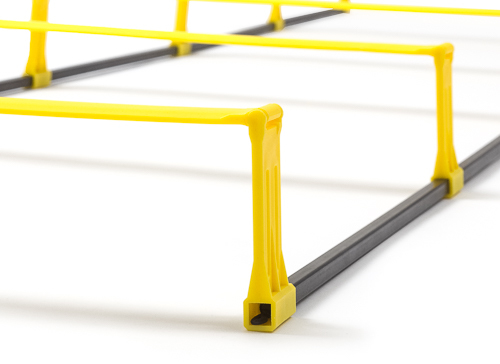 The rungs can be quickly and easily opened as hurdles and then have a height of about 10 cm and a width of about 50 cm. 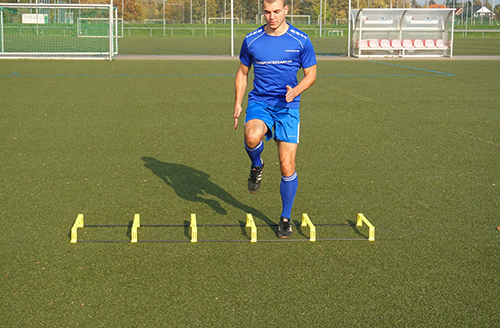 The ladder is optimally suited for an effective jump training as well as for the improvement of the coordination and mobility. 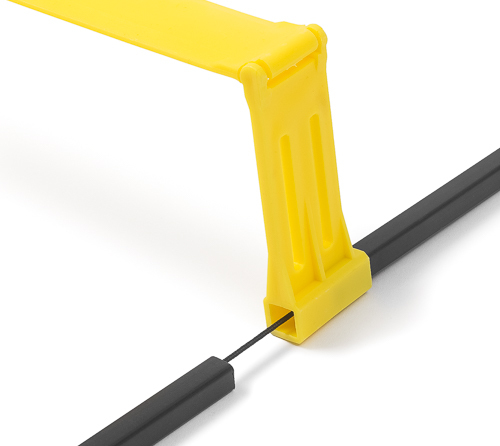 The ladder is made from resilient plastic material and is almost "unbreakable". It comes with a carrying bag. 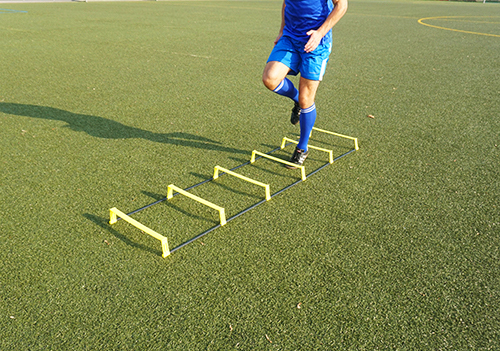 This modern hurdler is the basis for innovative speed, agility, jump and coordination training. 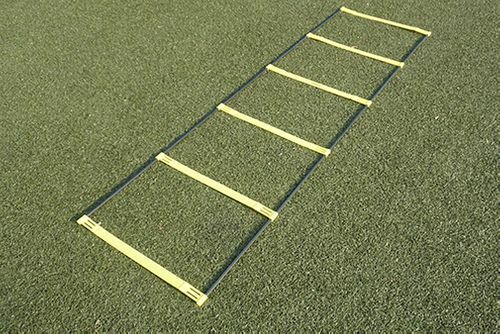 You can also purchase the matching training routines and other coordination ladders in our store. 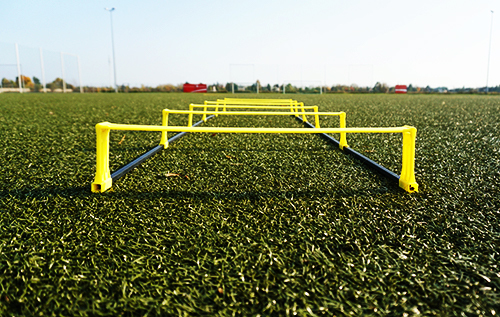 Even trainers from professional areas shop from us!